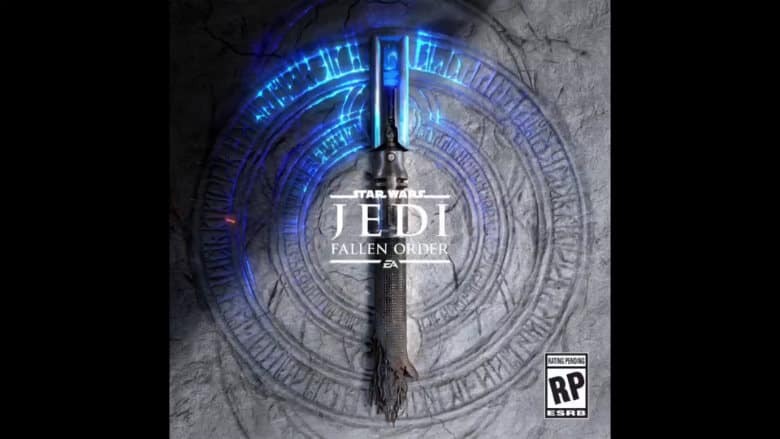 Star Wars Jedi: Fallen Order Reveal Coming This Weekend | Nerd Much? EA’s Star Wars Twitter account published a tweet earlier today that contained a simple GIF teasing Star Wars: Jedi Fallen Order. It was just an animated logo, accompanied by the text “Don’t stand out.” It was cryptic, but for good reason. It’s just a tease prior to the Star Wars Jedi: Fallen Order reveal now officially announced for this weekend. The official announcement of the upcoming Star Wars Jedi: Fallen Order reveal came to us not from EA’s Star Wars account, but the official @StarWars account instead. The posting confirmed fans can “tune-in for first look” at Star Wars Jedi: Fallen Order on Saturday at 1:30 p.m. CDT. That’s 2:30 p.m., Eastern, 11:30 a.m. Pacific. We didn’t get anything else on the event other than that. Disney and EA are saving the goods for Saturday. Hopefully the event will hold more than a mere glimpse at the highly anticipated game. We’ve been clamoring for information on it since the title’s announcement in 2016. All we know story-wise to this point is that players take control of a Jedi student after the horrific events of Order 66. As seen in Star Wars: Episode 3 – Revenge of the Sith, Order 66 came down from Supreme Chancellor Palpatine and announced that all Jedi were now considered traitors to the Galactic Republic. This led to a mass slaying of the Jedi order, with those who survived execution escaping to the shadows. Star Wars Jedi: Fallen Order likely tells the story of one of these escaped Padawans. With EA and Respawn’s tweet saying “don’t stand out” referencing the character’s need to stay hidden. EA reconfirmed a couple of months back that the game is still on pace to make its targeted release of later this year. Hopefully the Star Wars Jedi: Fallen Order reveal gives us plenty of to chew on, with fans then potentially going hands on with the game themselves during EA Play 2019.